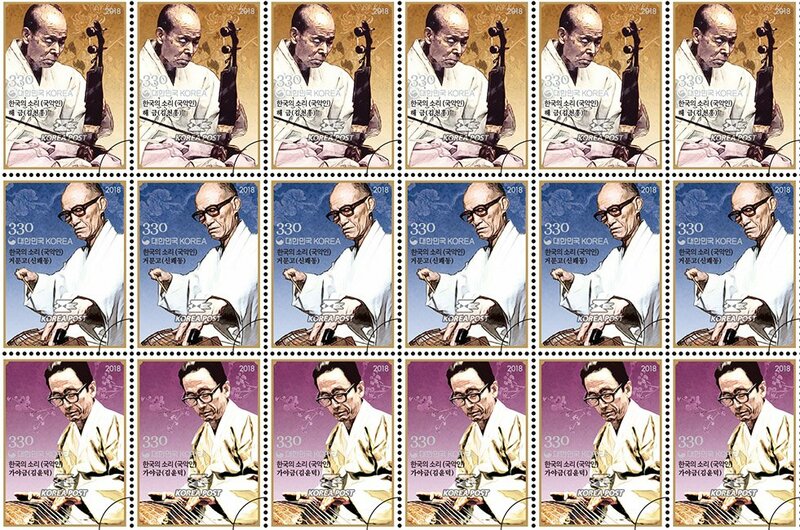 (News from 우정사업본부 / KoreaPost) On 30 April 2018 KoreaPost released three stamps about the sounds of Korea and Korean traditional musicians: “한국의 소리(국악인)”. 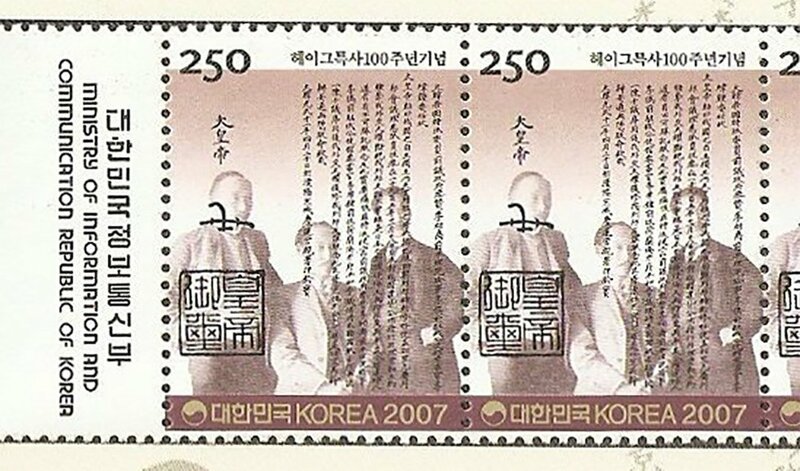 The three musicians are 김천흥, 신쾌동 and 김윤덕, shown with their particular instrument. 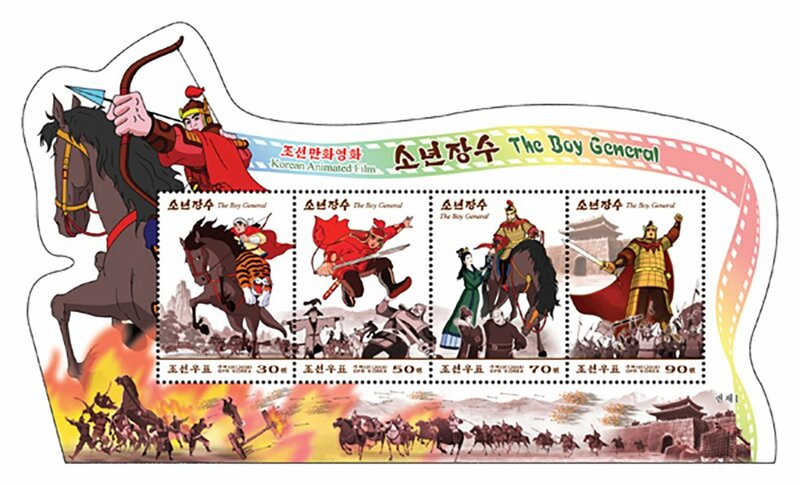 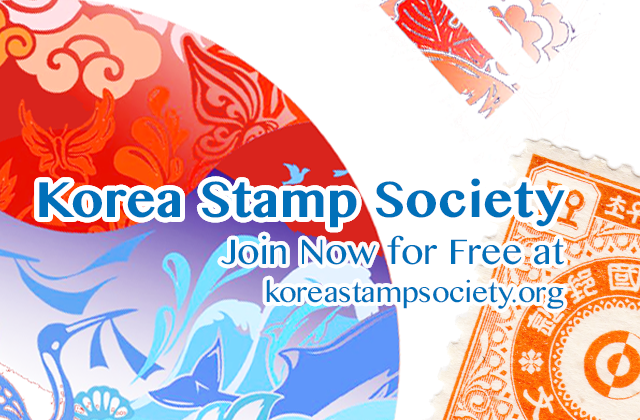 (News from 우정사업본부 / KoreaPost) On 27 April 2018 KoreaPost will release a stamp commemorating the North-South Summit. 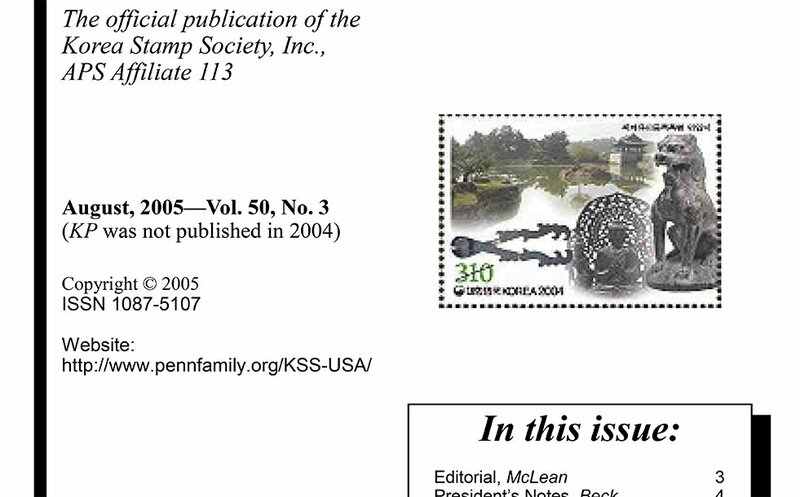 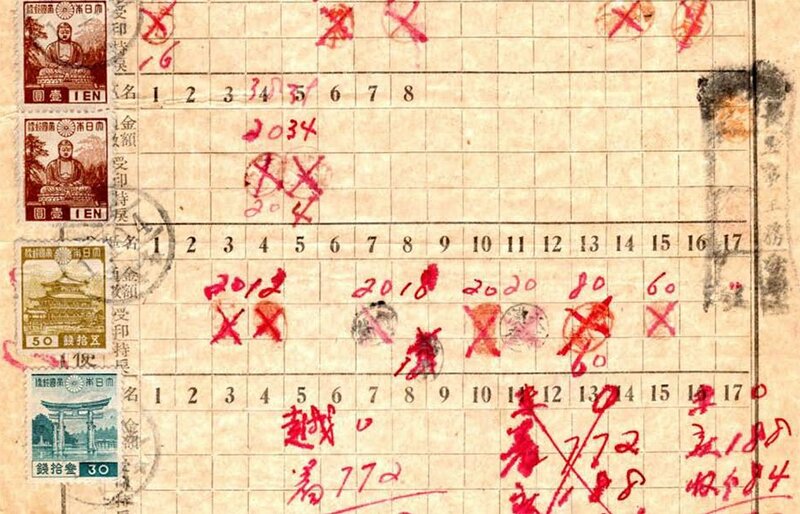 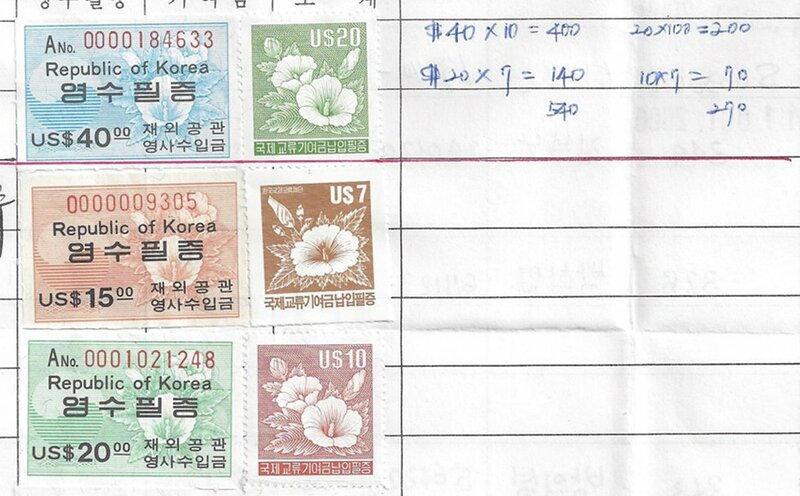 The stamp is literally listed as shown here (i.e. 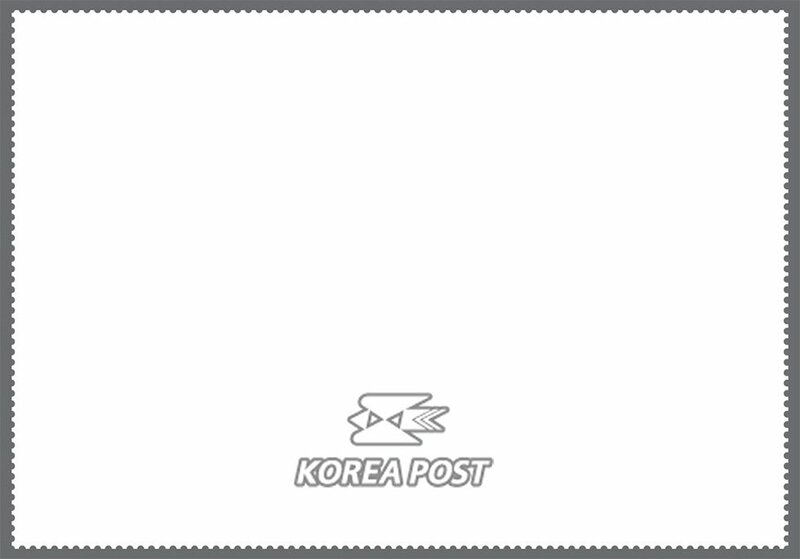 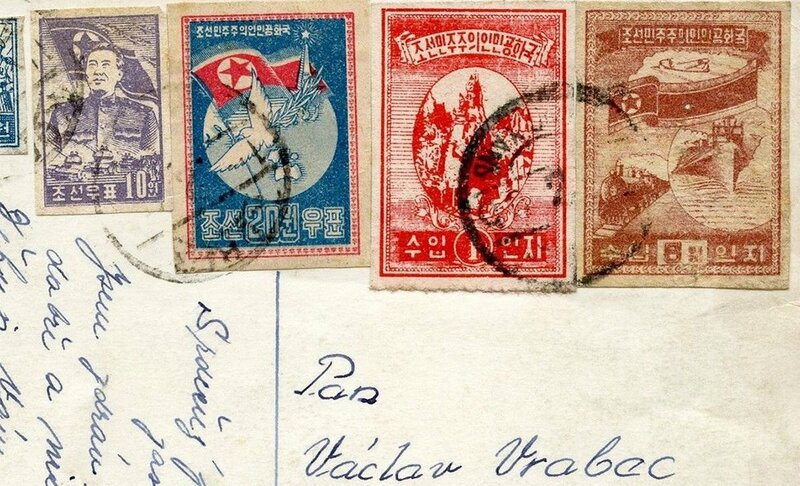 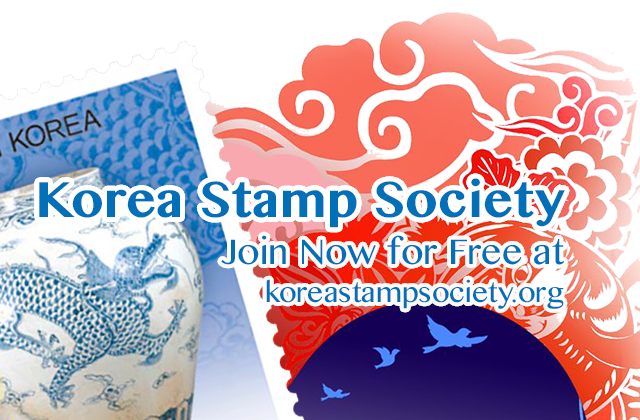 white background with only the KoreaPost logo shown).